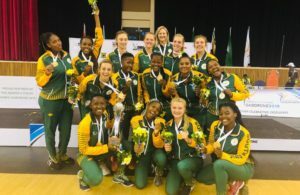 The South African Gymnastics Federation will soon host gymnastic competitions as part of the 2018 National School Summer Championships, set to begin from 9-14 December at the Gymagic Kempton Park club in Ekurhuleni, Gauteng. This annual school games event is an initiative by SRSA and has schools from all 9 provinces competing in over 16 codes of sport. The SAGF will host the gymnastics competitions, which will feature nine disciplines namely, Aerobic Gymnastics, Rope Skipping, Men’s Artistic Gymnastics and Women’s Artistic Gymnastics. Almost 400 learners, aged 13–15 years old, will be representing all nine provinces with over 110 teachers playing the role of coaches, judges and managers. 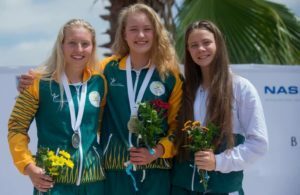 However, only seven provinces with pupils from special schools will take part in the disability category in the U15 age group at level 1 or 2 programmes for the different disciplines, featuring the South African Sports Association for intellectually impaired and deaf category. The championship will kick off with the men’s and women’s artistic gymnastics competition on day one, then rope skipping and aerobics will feature on day two and three. The event will wrap up on the fourth day. Photo: National School Summer Championships logo.